On Monday we had a full day bottling, doing over 10,000 bottles. We bottled the 2014s, bottling the Vinsobres, La Dame Anglaise and the Terra Firma. Like most wineries except the very biggest we use a contract mobile bottling plant. All we need to do is attach a hose to the lorry and down the chute at the far end of the lorry come boxes of wine. 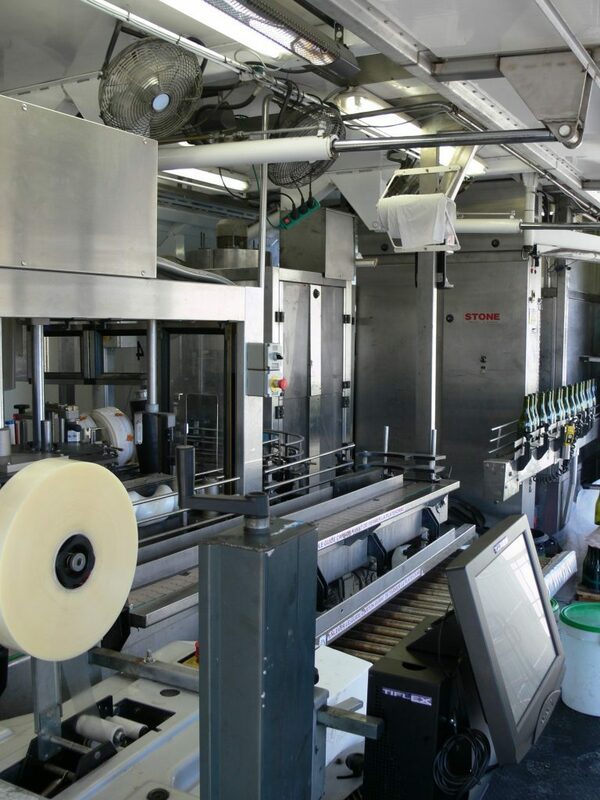 The rinsing of the bottles, filling, corking, capsuling, labelling, boxing and sealing all happens on the lorry – it’s a very efficient process. The only thing which remains to do is to stack the boxes on pallets – which is how I get my workout!